... for the Feast of St. Therese!!! 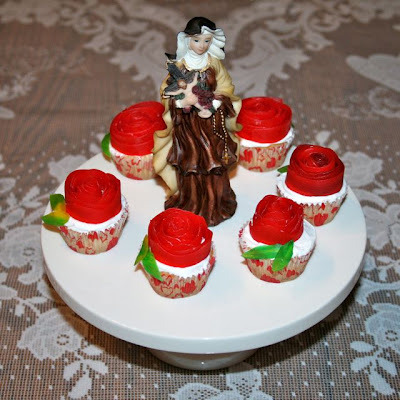 I just posted the directions for these darling Rose Cupcakes over at Catholic Cuisine! oh.. how beautiful! GOd bless you! Oh, those are beautiful! I just bought some chocolate eclairs. :-) Hope you are having a perfectly wonderful feast day!